Aroma*Heal is our synergy that unifies the spiritual anatomy with the physical one. It allows for the union of one’s spiritual essence to be anchored and grounded in the physical body -- so we can be present in the here and now and do our work. When we are not grounded in our bodies we can have little mishaps, and sometimes accidents or emergencies can occur that cause the body, the energy field and our spirit to need nurturing and healing. 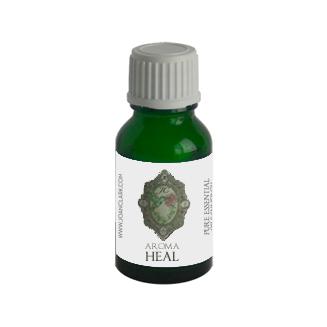 Aroma*Heal is our “Boo Boo synergy“ that can bring relief and support when something happens to cause hurt or harm to ourselves. Be it cuts, scratches, bruises, wounds and any inflammatory conditions or a shock to the system affecting our energy fields and emotions. Aroma*Heal can help nurture and support most skin conditions that need attention. Excellent for skin care as well. Contains: Chamomile, Cistus, Frankincense, Helichrysum, Lavender, Myrrh.